We haven't been this paranoid since Captain America 2 came out. Have you ever glanced at your phone screen and decided to send an unknown number straight to voicemail? Have you ever skipped buying a bluetooth because any call you get while driving can always be returned when you leave the car? Have you ever put your phone on Do Not Disturb so no one can reach you while you sleep? One Direction fan Ellie Fitzgerald-Payne learned the hard way to always, always answer her phone when Harry Styles gave her a call on Monday and left her the world's sweetest voicemail. 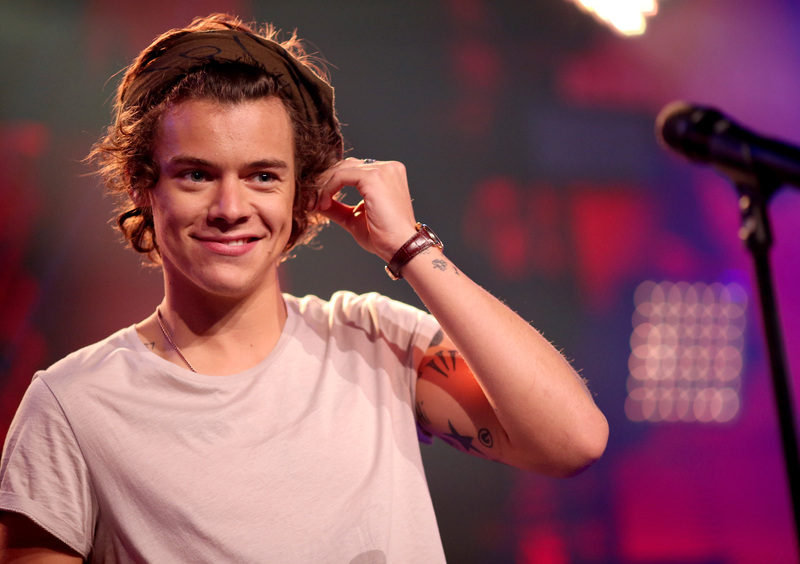 It's not breaking news that Harry Styles is a really nice guy. Remember when Matt Healy of the 1975 called Styles for the first time to jokingly claim he was in financial trouble and Styles immediately texted him his assistant's number so they could handle it? In light of that, this comes as no surprise. Apparently Fitzgerald-Payne's parents were staying in Shoreditch House for the weekend when they ran into Styles while waiting for the elevator. Her stepfather introduced himself and asked if Styles was willing to call her. They tried a couple of times, but Fitzgerald-Payne was notorious for never answering her phone, so Styles left her a voicemail. "Hi, Ellie. It's Harry here," the singer said in the message. "I'm with your dad and we've just had lunch together. He's a really nice guy. I hope I see you soon. I think we're having coffee next week." Fitzgerald-Payne posted a portion of it to her Instagram in a video with the caption "My voicemail from @harrystyles can't wait for our coffee next week". She followed it up by posting a picture of her stepfather with Styles to confirm her story. The jury is out on which would have been the better outcome. On the one hand, she has a voicemail message that she can play over and over and over again for herself, for friends, and for enemies alike. On the other hand, there's an endless realm of possibilities for what could have happened if she'd actually gotten to talk to Styles. Maybe that coffee date could have gone from a joke to an actual reality? "My friend and I were in my car going absolutely crazy," Fitzgerald-Payne told E! Online about the experience. "And what a lovely and down to earth guy he appeared to be with a great sense of humor both to my parents and over the voicemail!" Clearly then she's not too upset about missing the call. If anything, she's probably as jealous of her stepfather as we all are.